The Bristol Hotel is a landmark of Luxury and space . 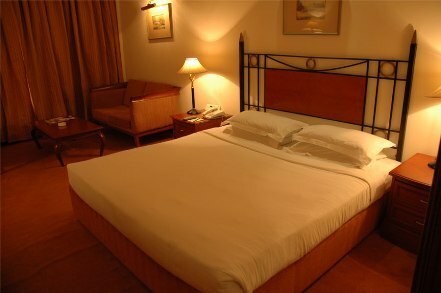 The most contemporary hotel in Gurgaon offers superlative standards of comfort and luxury complemented with a variety of restaurants offering delectable cuisines of the world. (Google Map). Spread over 4 acres of beautiful landscape, strategically located The Bristol is 20 mins drive from the Airport and mins away from commercial centers of the city. Outstanding service, promising comfort makes us a perfect destination for our guests! Internet/Wi-Fi, Swimming Pool, Recreation, Wedding Services, Airport Transportation, Concierge, Beauty Services, STD/ISD, Gardens, Currency Exchange. Cable/Satellite TV, Reading Lamps, Room Heater, Bottled Water in Room, Smoking Rooms, Moisturiser, H/C Water, Wakeup Calls, Iron/Ironing Board, Attached Bathroom. Swimming Pool, Health Club, Arcade/Game Room. Secretarial Services, Room Service, Restaurant, Parking, Laundry Facilities, Doctor on Call, Conference Hall, Coffee Shop/Cafe, Business Facilities, Breakfast Services, Beauty Services, Banquet Facilities, ATM/Banking, Bar. User reviews for "The Bristol Hotel Gurgaon"
© 2017-18 www.gurgaonhotels.co.in All Rights Reserved.